Yeah, I know. I already highlighted the frogs and now I’m going for Rabbits, which are just as low texture, though at least these ones have eyes. The reason I have to highlight these is that they’re fairly key in a lot of both PVE and PVP strategy. They are better at turtling than Turtles. The combination of Dodge and Burrow means that, if conditions are right, your pet will only be hit a couple times after several turns of evasion. Those conditions include your rabbit being a Speed breed, or your opponent being super slow. As discussed in my Breeds post, this can make quite a bit of difference. If you have a Speed breed rabbit, it is one of the fastest pets in the game. If you have a different breed of rabbit, it is still going to be quite fast, but it’s not a lock for evasion the speed breeds are. And now it’s time for another video, yay! This one pits my S/S rabbit Dill and my H/B rabbit Lennie against the first pet in the Thundering Pandaren Tamer fight. I continue on with the fight with Dill, just in case my acclaimed writeup on the topic wasn’t enough to help you beat him. I get it, different people learn in different ways. The only rabbit with no available speed breed is the Elfin Rabbit. 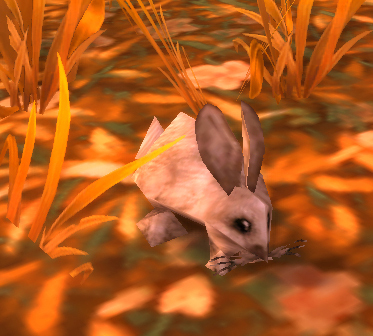 The Spring Rabbit from the Noblegarden holiday is the Speed breed by default, but you have to burn a Critter token to get them up to Rare quality. 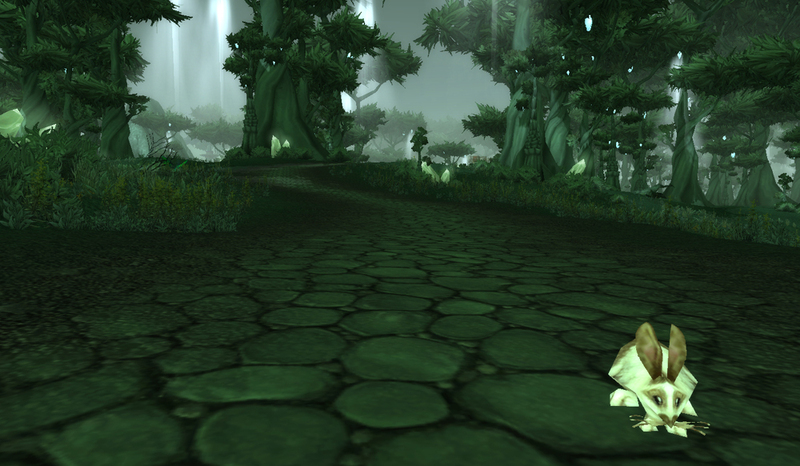 They also have, by far, the most amusing idle animation. Beyond just rabbits, speed is incredibly valuable in PVP. If you get a very speedy pet and your opponent chooses to swap pets, you can frequently make them ‘skip’ turns while swapping. For Rabbits, this not only increases your avoidance right then, but makes you one turn closer to your next Dodge. Sometimes in pvp, you can practically hear the frustrated shrieks through the monitor at your adorable little ball of fluff and evasion. This entry was posted in pet profile, Uncategorized and tagged auctionable, critter, pet pvp, rabbit, tamed, vendor on July 2, 2013 by Liopleurodon. wow I can’t get over the difference speed can make. Great Video. Thanks! And yeah, there are a lot of pets where the difference between speedy/not is super stark, but with the various rabbits it gives you SUCH a huge edge in both PVP and PVE.